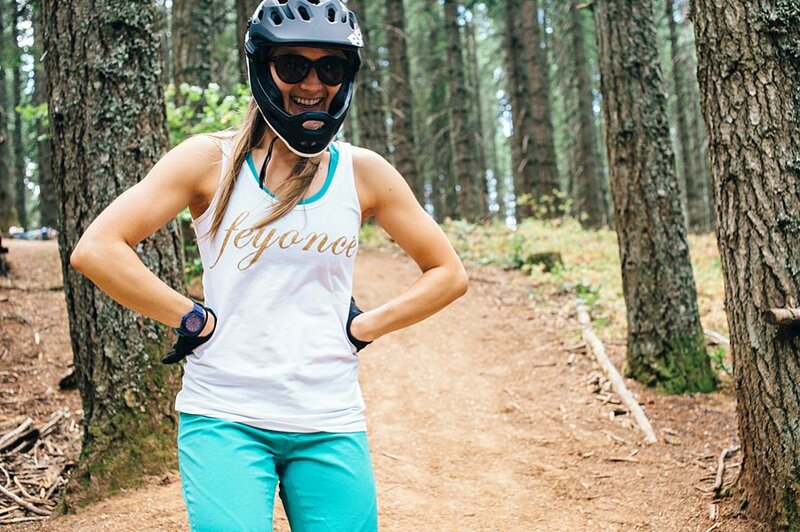 A Bridal Party - Mountain Biking Adventure! 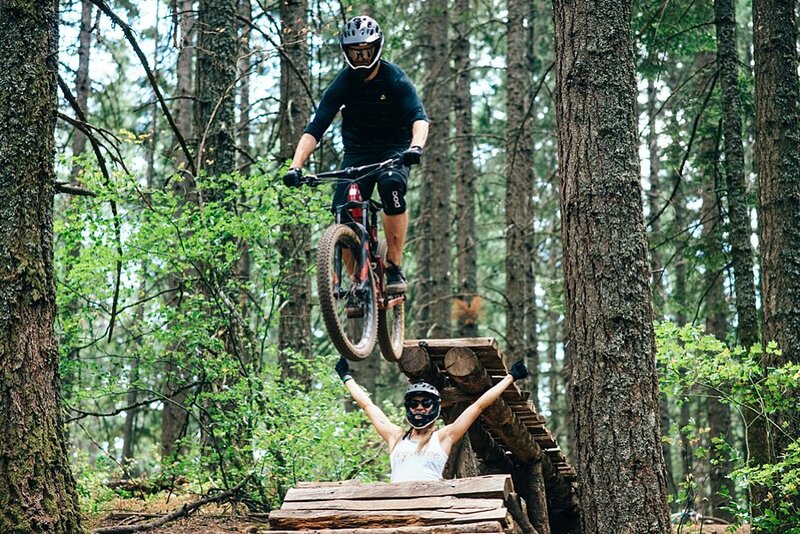 This came as no surprise to her friends and family, though because Sierra and Brad thrive off an ultra-active lifestyle, spending as much time as they can outdoors, in-between daily CrossFit (for him) and circuit workouts and runs (for her). Read more in our interview with Sierra below! First things first, how did you and Brad meet? On a blind date! We were set up by a mutual friend. He proposed on a hike out towards the Oregon coast, in the pouring rain. It was one of the first hikes we did together so it was a special hike. No one else was around because the wind and rain were so intense. It was a total surprise! At what point did the two of you start to incorporate fitness into our routine? Was fitness something that started for you prior to meeting? We were going on adventures and doing active things together since the first weekend we met. We do occasional traditional workouts together, but we tend to favor staying active together in other ways. We love surfing, snowboarding, hiking, camping, and of course mountain biking. What's your favorite fitness activity? Do you and Brad do the same sport? All of the above. Winter favorites are snowboarding/skiing and traveling to warmer climates for surf adventures. 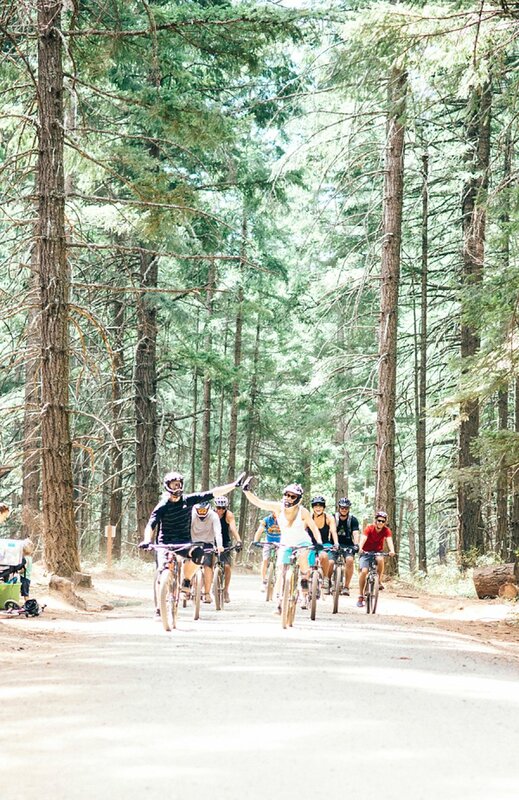 Summer time includes mountain biking and backpacking trips, rock climbing, and more surfing! What prompted your interest in these activities? How long have you been doing them now? We both grew up in active households, and are both a bit stubborn and competitive so naturally we push each other in activities. We both have our sports we favor so we encourage and support each other in those! What is your goal with participating in this particular sport or activity? We are very aware how important fitness and health are, especially as we get older, but we really participate in activity more for our love if the actual sport and being outside together. What exactly does training for this sport entail? For mountain biking, my husband does CrossFit as part of his routine and I run (leisurely) and do Interval training workouts. Having a good leg strength and some cardio capacity makes the uphill a little less daunting. 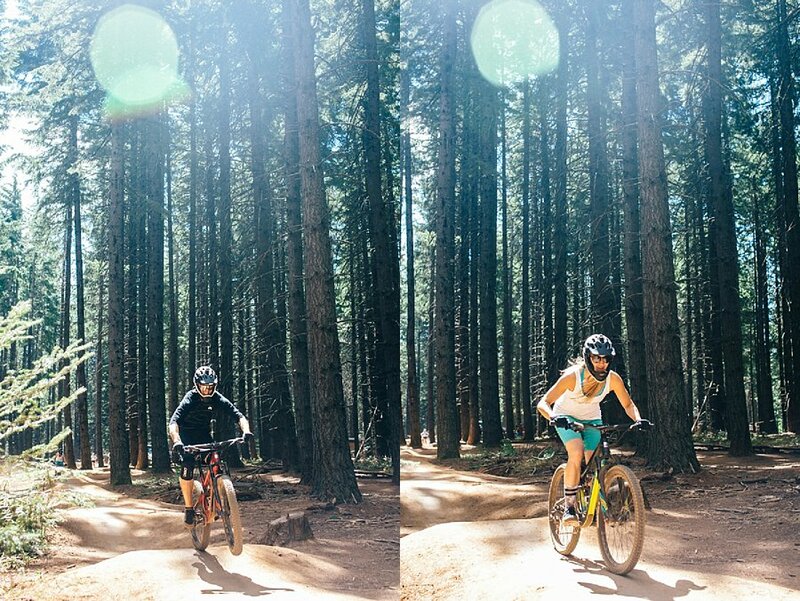 Mountain biking has kept us in just good overall shape and strong throughout. Of course. Brad actually got me more into mountain biking and pushed me to go outside of my comfort zone. I had my first real crash during our relationship and he has helped me move past the fear of that. It’s a good release of day-to-day stress and the monotony of work. Trust, communication, and laughing at the little things! 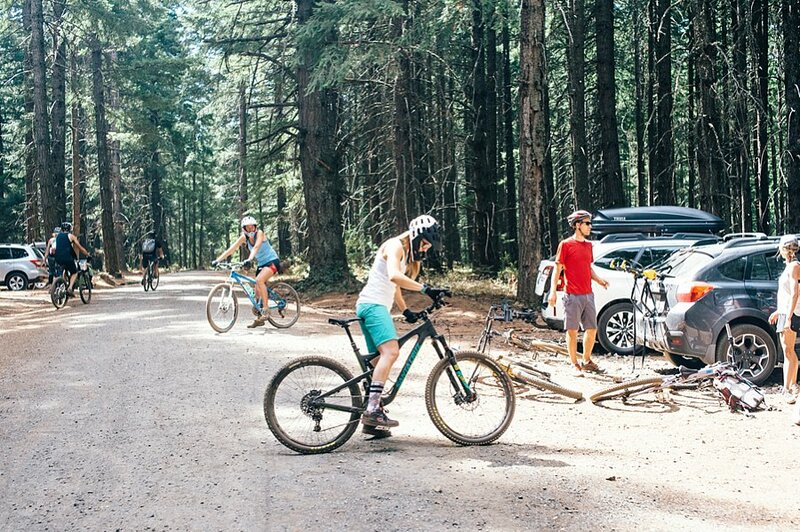 We went mountain biking with a big group of our friends the day before our wedding and had the most fun that day! Good people, good times, great weather, and of course a beer after! It depends on the season. In traditional workout terms however, Brad does CrossFit 4-5 days a week, and I take Barre classes 3-4 days a week. We stick to a fairly gluten free diet due to some health reasons. We have eaten strict Paleo and Whole30 before but we don’t maintain those diets on a 100% basis. Overall, we keep up on veggies, limit sugars, and drink lots of water. An apple and almond butter. Continue to improve skill levels of all our favorite sports! Living in a container home somewhere in the woods...and by a lake...but not far from the ocean. Traveling as much as we can, still doing all the same things, just less work and more play. imagery provided by Chris Klas Photo via two bright lights.